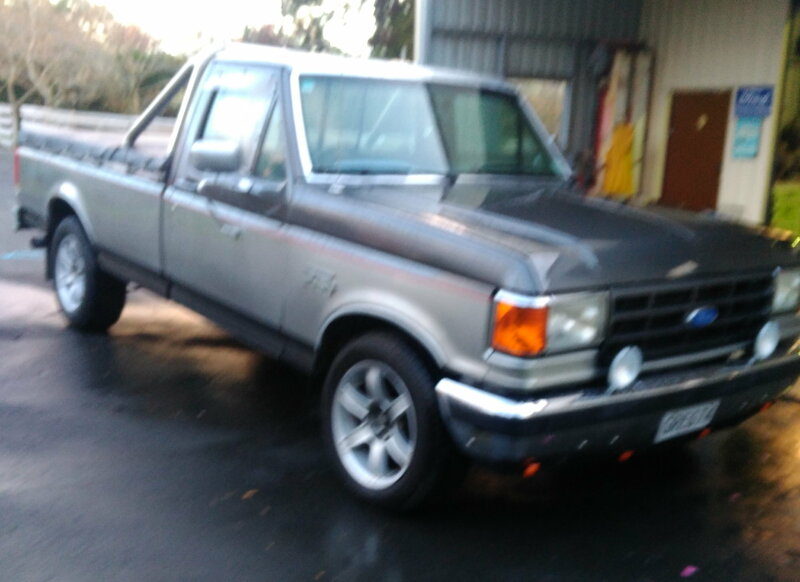 Hi my 1989 f150 300/6 has a hard starting problem when warm when i turn it off for a while then go back to start it and crank a long time till it finally fires or give up and cycle the key start again and it firs right up, ive done the fuel filter and ignition kit ie cap rotor leads and plugs, its had a new in tank pump in front tank but doesnt seem to make any difference which tank its running on? I am thinking main fuel pressure or regulator but havnt got that far yet. Also how much can you lower the front springs before it upsets the geometry? Ive got longer swing shackles for the back and want to lower the front to suit as its on 18s and sits a bit high. Check your fuel pressure. Your spec is 45-60 psi at idle.Pull the vacuum line off the regulator, pressure should go up and there should not be any raw fuel at the vacuum port of the regulator, otherwise it is bad . Make sure it holds pressure after shut down. Last edited by raski; 02-05-2019 at 05:13 AM. Thanks found a mate has a EFI test kit last night so hoping it got a fitting ti fit the scrader valve on my truck soon. I had a similar problem with my truck. If it had sat for a day or two, it would fire right up, but if the engine was warm, then it would crank for a while. it turned out to be a fuel pressure regulator for me, which was just a $10 fix.